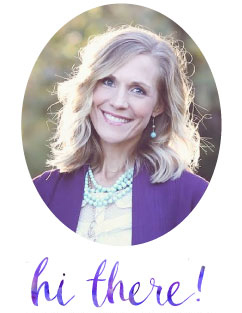 I don't know about you, but I not only want my kids to celebrate our nation's traditions, but I want them to KNOW and to UNDERSTAND the meaning behind the holidays that we honor and the purpose for which they serve. 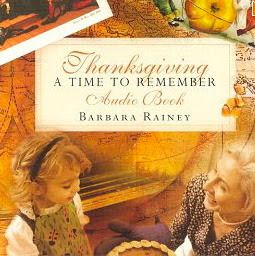 A couple of years ago, I came across an audio version of an historical account of the Pilgrim's courageous journey to a America and the first Thanksgiving meal that they celebrated in honor of their new found religious freedom . The story was very well presented, and a wonderful listening experience for the whole family. 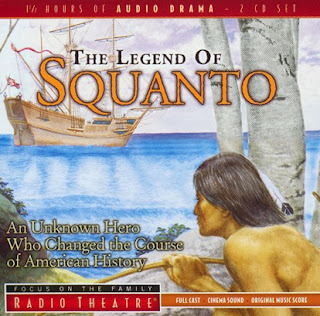 If your children enjoy listening to recorded stories, they will love the dramatic representation of Squanto from Focus on the Family Radio Theatre. The recording can be purchased in CD form from Focus or Amazon, or you can upload the MP3 version from Focus or iTunes. 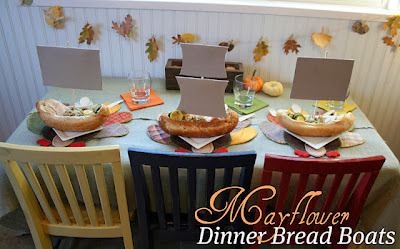 This is one of the most unique ideas I've seen for Thanksgiving yet! 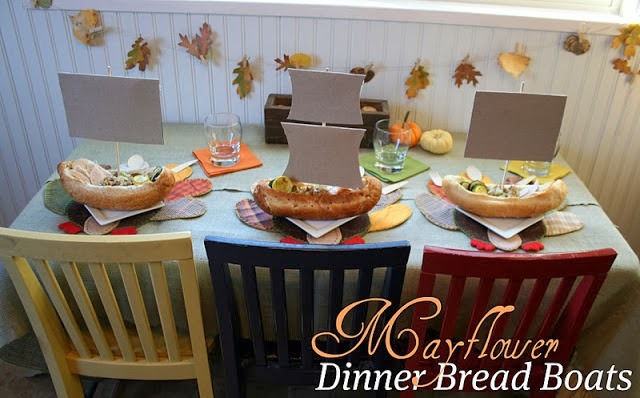 My boys will love making these Mayflower dinner bread boats from Moore Minutes. 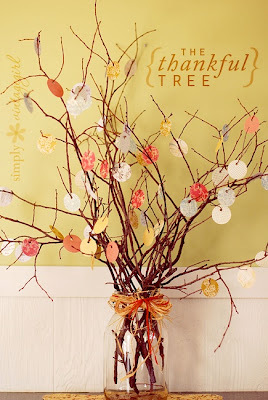 Don't you just love all of the free printables being created by so many fabulous bloggers out there? 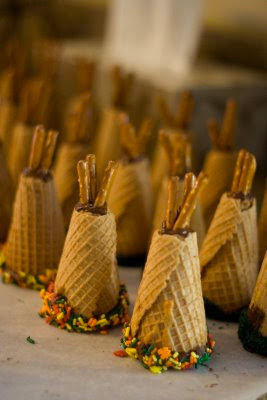 I'm going to frame this one from Craftily Ever After and use it to spice up my buffet on Thanksgiving. Very interesting about the correct spelling of Plimuth - I didn't know that! This year I'm happy that my younger brother and his family are making the long drive up from TX to spend the week with us. One thing that we have done for a couple of years is try to be more mindful about being thankful year round and not just once a year - I want my boys to grow up being grateful for all of the wonderful things in their lives. 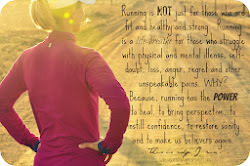 Oh, leave it to pinterest!! One of my favorite Thanksgiving traditions is that we have do a sticky-note wall where the kids can write things they're thankful for and just post it on the wall. I got the idea from a children's hospital in town. I love seeing the whole family together without having the stress of presents. 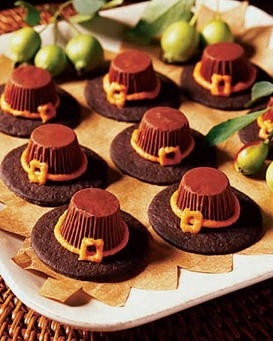 Usually don't start thinking of Thanksgiving until after Halloween, though, which is admittedly my favorite holiday! this actually bothers me! I am Jewish and I don't celebrate Christmas because I strongly believe it is NOT a secular holiday and should not be celebrated as one. 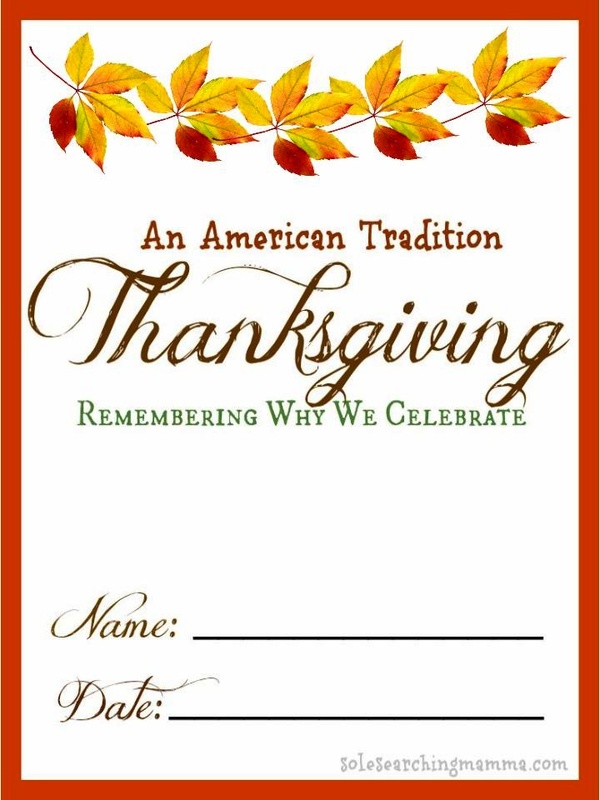 But I do celebrate Thanksgiving and saw it as an American holiday. I did not realize it should be considered a Christian holiday and now I'm not sure what to think about that!